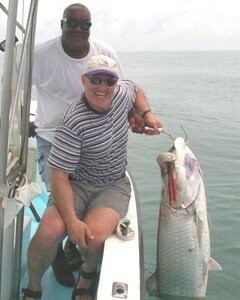 What could possibly be more exciting than hooking and fighting a Tarpon on a Costa Rica fishing charter? For those who have never enjoyed the thrill, boating an 80lb Tarpon – dubbed the Silver King – is like dragging a 1949 Buick up from the bottom of the sea. Many anglers consider these magnificent saltwater creatures the world’s ultimate game fish. For pound-for-pound explosiveness, endurance, and jumping ability, the only species that can compete with the Tarpon, whether you fish Costa Rica or anywhere else in the world, is the Marlin. Costa Rica’s Caribbean coast near the San Juan River and the border with Nicaragua at its northern extreme is one of the world’s most popular Tarpon destinations. Every year, hundreds of anglers from around the world flock to the absolutely gorgeous Tortuguero/Barra del Colorado/Rio San Juan area to fish Costa Rica and engage in battle with this majestic gamefish. Tarpon are NOT found off Costa Rica’s Pacific coast. The Tarpon is one of the oldest species inhabiting the planet – they have been around for about 100 million years. They can reach up to eight feet, and can weigh up to 280lbs. And they can live more than 50 years. So when you are lucky enough to hook one of the really big ones (female, usually) on your Costa Rican sport fishing trip, chances are she might be older than you! The prime Costa Rica Tarpon fishing season begins in September, and continues through January, although April and May can also be decent months. A short 25-minute early morning commuter flight or private charter from San José takes anglers to Caribbean coast lodges where they can experience a unique Costa Rica sportfishing adventure for Tarpon in the ocean 400-600 yards off the coast, or in the lagoons and canals. Most Costa Rica sportfishing guides will take anglers into the ocean and jig for Tarpon, although the Silver King will readily take a variety of lures. Jigs should be one to two ounces with a strong short-shank hook. Favored lures for tarpon fishing inside the rivers, lagoons and canals are floating Rapala Magnum 11 Series. 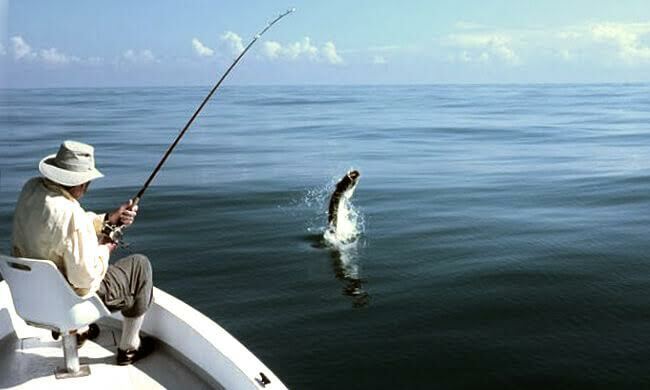 Tarpon can also be caught on the fly on Costa Rica sportfishing vacations. In the rivers a medium or intermediate sinking fly line works best. In the ocean, a floating WF fly line may work better, especially if the fish are taking poppers or surface feeding. Another Tarpon destination quickly gaining in popularity is Rio Indio Lodge in Nicaragua, just across the San Juan River. 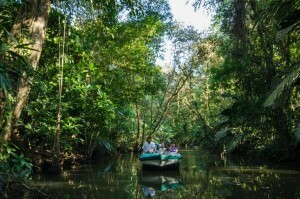 Rio Indio is magical; the lodge is situated amid stunning natural beauty. Experienced indigenous Rama nation fishing guides might even take you to fish where no person has ever fished before, as new lakes and canals are being discovered in the area all the time.